Television’s history was not always black-and-white. Dr. Herman Gray, a professor of sociology at the University of California, Santa Cruz, dedicates his research to television coverage for people of color during the mid-20th century. 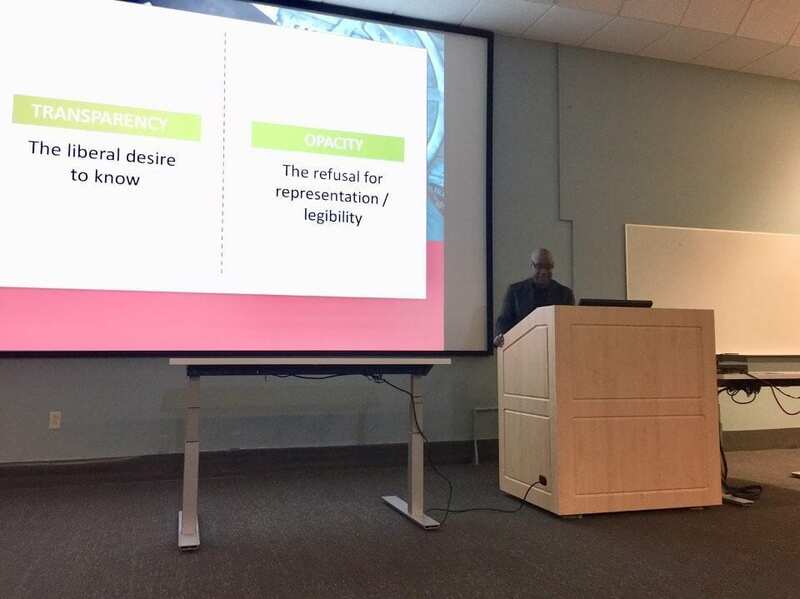 Gray presented his lecture, “Transparency, Opacity and the Black (Subject)ion of 20th Century American Television,” at the McClung Museum of Natural History and Culture on Oct. 18. Gray met with multiple television scholars in Athens, Georgia, at the Peabody Archives during a conference to gather information about this topic for their research. “I wanted to go back and ask questions about early television and how it saw blacks, race and differences,” Gray said. Culture and civic recognition of race particularly heightened through the use of television in the 1950s and 1960s. Gray explained that television broadcasting became, and continues to be, a medium where black cultural representations can be displayed. Gray believed racial politics in the mid-20th century created an effect on people of color and television broadcasting. He explained that having black producers provided new, authentic perspectives about blackness that helped re-shape how television portrayed black culture. Gray referred back to philosopher Édouard Glissant’s theories about transparency and opacity of blackness in a colonial setting concerning language. Gray said those themes can directly be applied to blackness in television broadcasting during the mid-20th century. Aside from teaching, Gray is also an author. He is recognized for his books “Cultural Moves: Identity and the Politics of Representation and Watching Race” and “Television and the Sign of Blackness.” Gray received the John Seigenthaler Chair of Excellence award and was a resident scholar at University of California, Irvine’s Humanities Research Institute. Gray presented the final lecture of a three part series titled, “Sights of Power: Race and Visual Culture Lecture Series” offered at the museum. The exhibit “For All the World to See: Visual Culture and the Struggle for Civil Rights” concluded Oct. 20. Next Quiz: Where should you go on your next vacation?